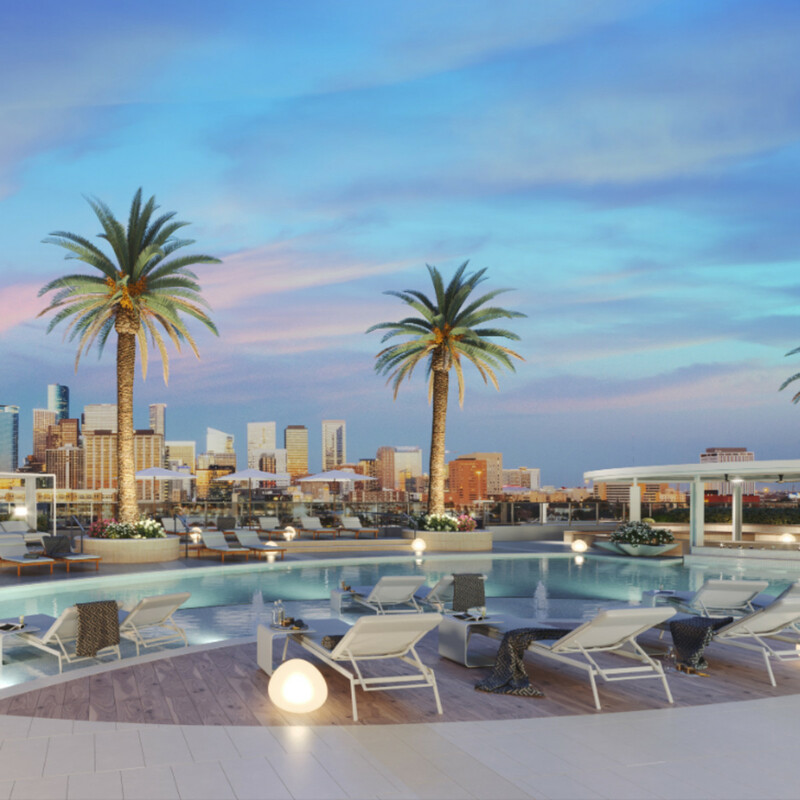 Midtown’s highly anticipated, first residential tower now has a name. 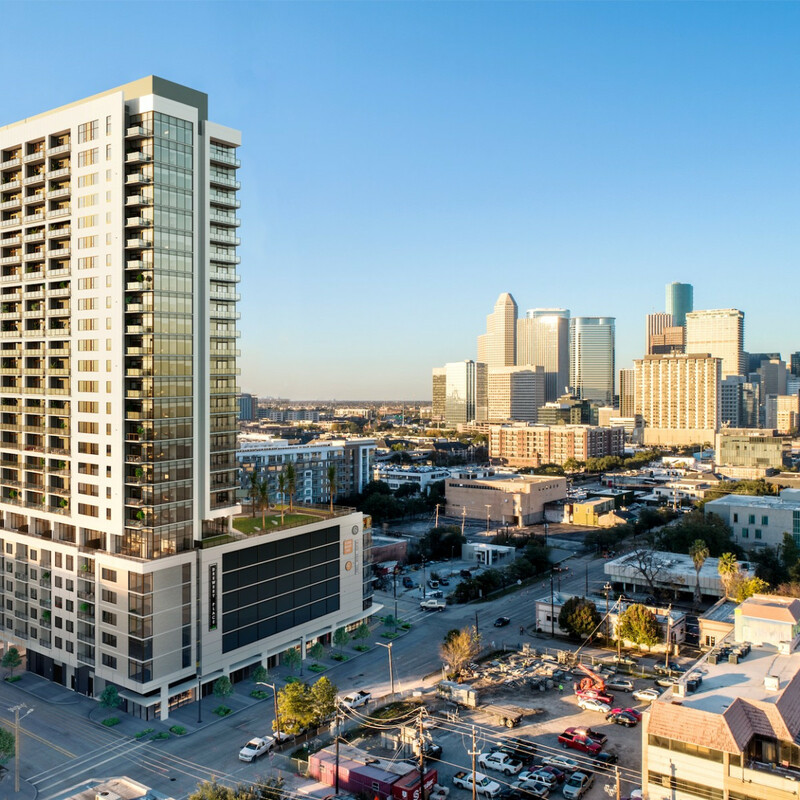 The $200 million development, located on 2850 Fannin St., will be known as Drewery Place. It’s the first phase of Laneways, the 2.5-million-sqaure-foot development spearheaded by Australian developer Caydon. 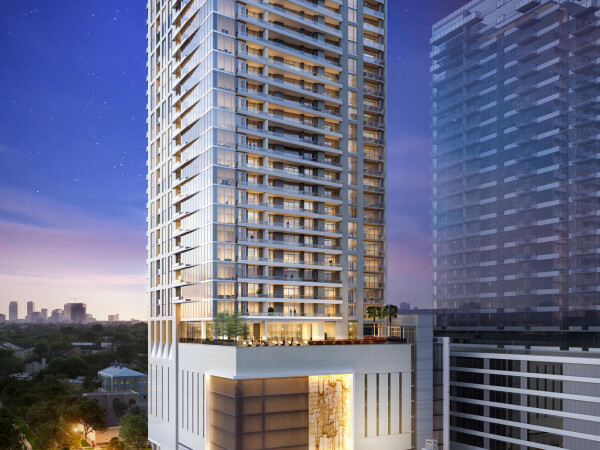 As CultureMap previously reported, the 27-floor project is part of a vision to transform three Midtown blocks into a bustling, mixed-use center. The Drewery Place name harks to a popular laneway (a walkable alley) in Melbourne, Australia — Caydon’s home base — and was also inspired by the tower’s location on Drew Street. 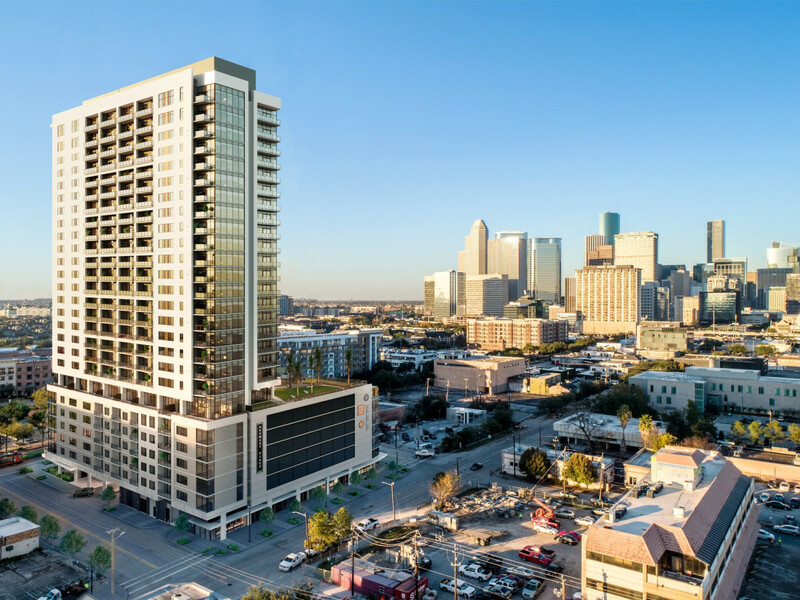 Designed by Houston-based Ziegler Cooper Architects and built by HOAR Construction, Drewery Place will boast 357 apartment units with an average size of 1,003 square feet, ranging from micro-sized, studio, junior to one- and two-bedroom apartments — many of which will offer downtown views. Along with the new name comes an eye for design (courtesy of a local arts group), outdoor living, tech-savvy perks, and health and wellness initiatives. 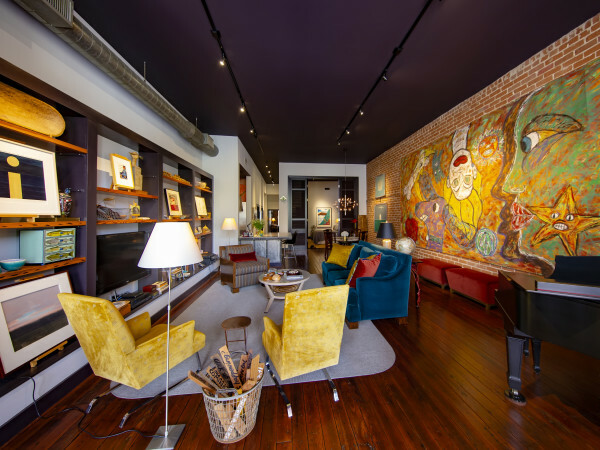 Caydon has partnered with Houston Art Alliance to showcase 29 local artists via hallway pieces, a garage mural, and hanging atrium artwork, according to a statement. Caydon and the Houston Art Alliance the teams ran a Houston-wide competition to select the participants in the project. 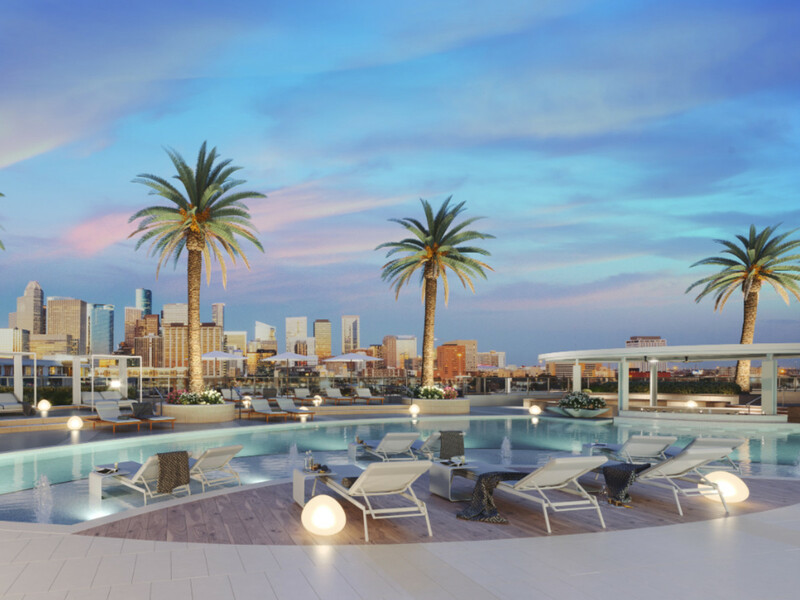 Drewery Place will house Houston’s largest pool deck, according to a release, plus an expansive pool with swim-up bar, private cabanas, an outdoor yoga lawn, and private dog park. 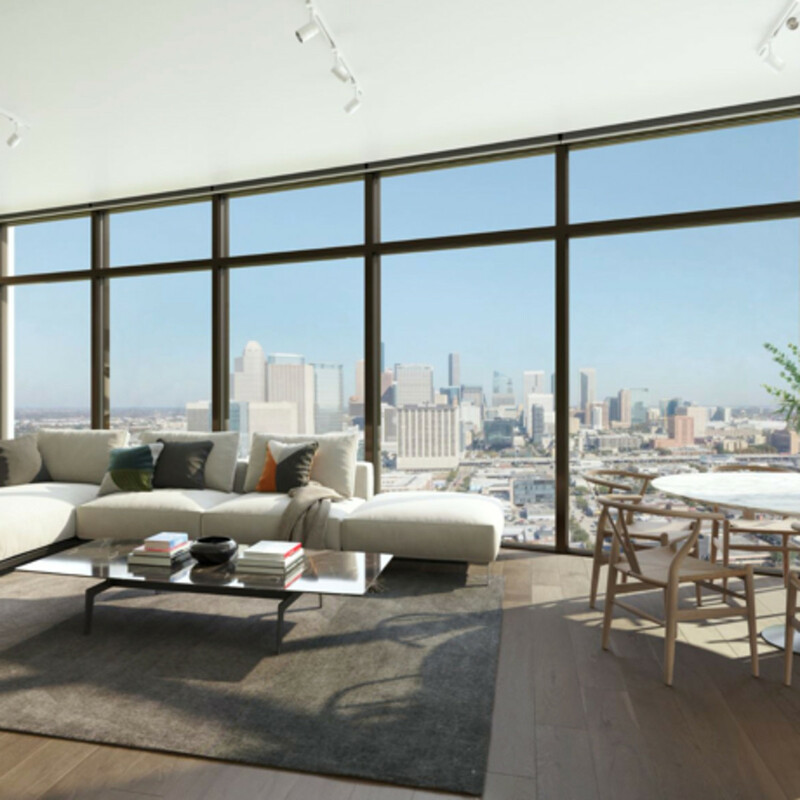 Future residents of Drewery Place will be the first U.S. residents to enjoy a “connected living lifestyle,” says a release, as Caydon will gift an Alexa to all tenants to connect smart devices, thanks to a partnership with Amazon. 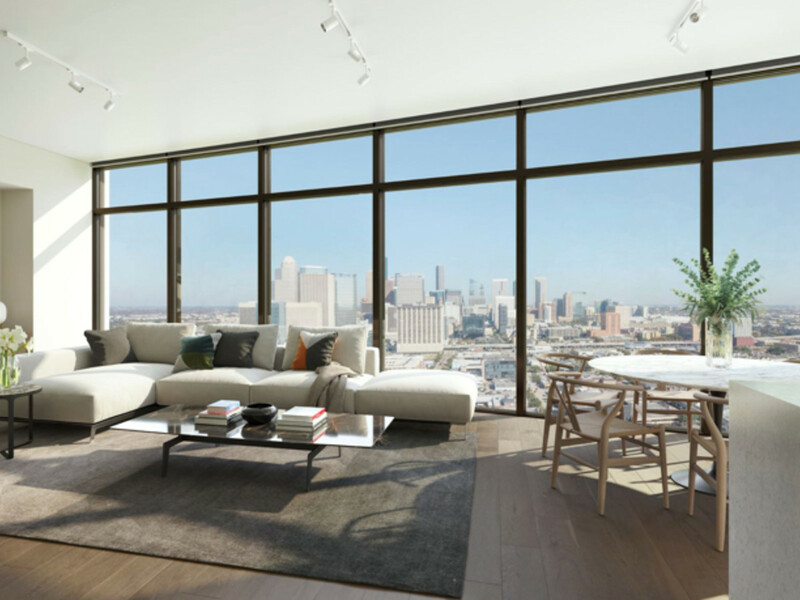 Drewery Place will also offer scene programmable lighting, smart Honeywell thermostats, Latch Bluetooth enabled door hardware, and even license plate recognition. The high-rise will house 13,000 square feet of retail space, inlcuding The Flying Biscuit and recently signed Black Swan Yoga and Earthcraft Juicery — the latter which are meant to create a mix of health and wellness (and a chance to work off the delectable Flying Biscuit). Black Swan Yoga’s instructors will lead community events on Saturdays with Earthcraft Juicery’s drinks to follow. Caydon will also host outdoor theatre nights on the grass lawn, as well as seasonal pool parties and “yappy hours” for pet owners to mix and mingle. Pre-leasing for Drewery Place begins May 2019; the property officially opens July 2019.